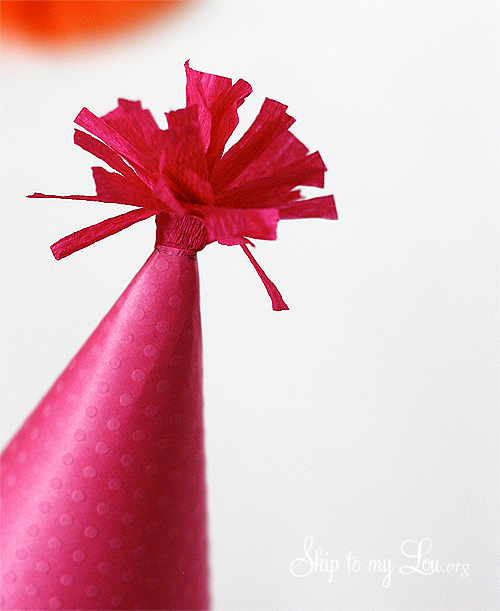 These DIY Party Hats add a personal touch to your party. 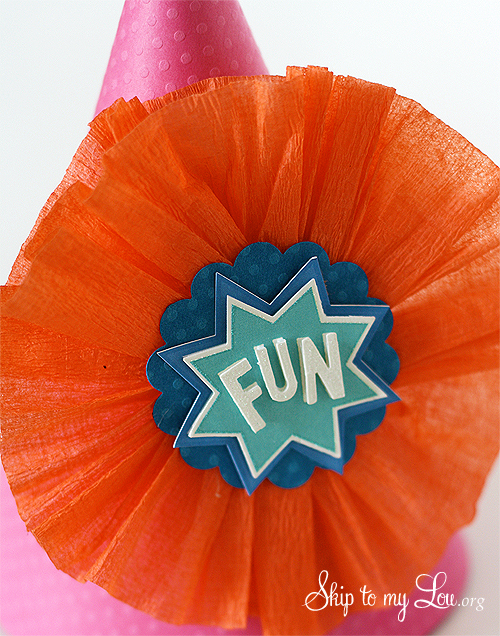 All you need is some pretty card-stock, hot glue, crepe paper streamers, stickers and hot glue. 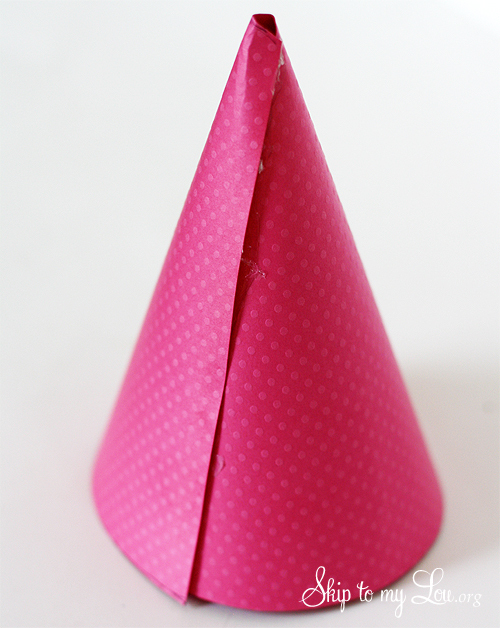 Download party hat template. 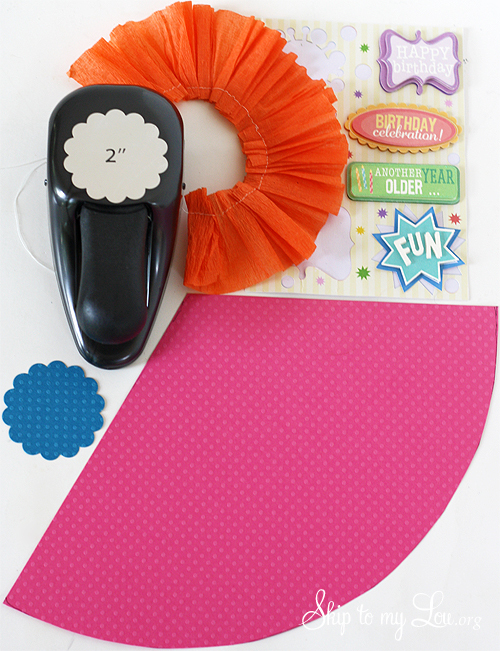 Cut party hat from pretty card-stock. Overlap side edges about 1/2 inch and glue with hot glue. 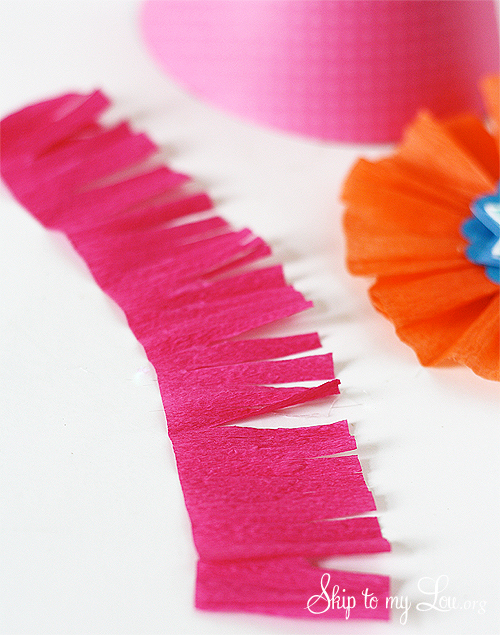 For the front medallion take about a yard of crepe paper streamer and gather the edge. 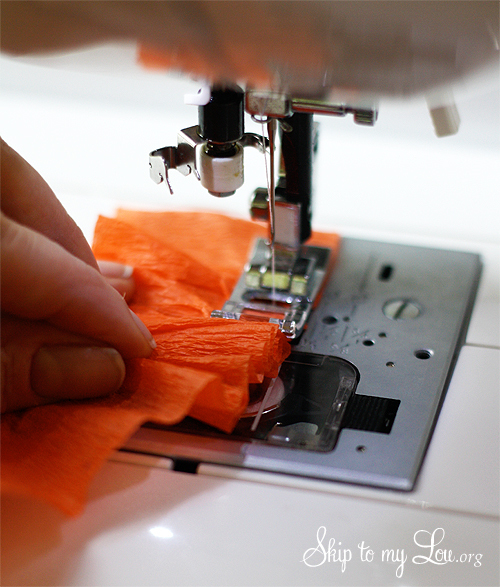 This can be done easily on a sewing machine. 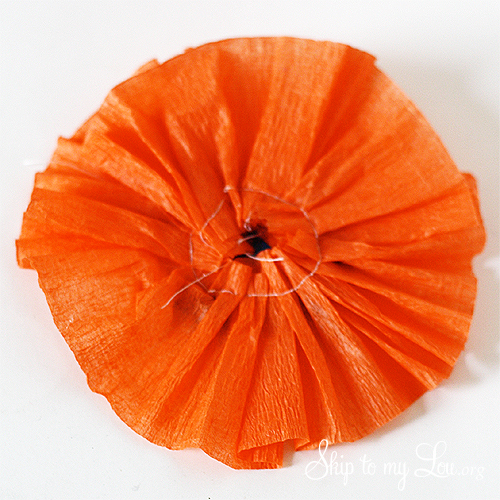 If you don’t have a sewing machine the crepe paper can be gathered directly onto the card-stock circle with hot glue. Cut about a 2 inch circle from card-stock. A 2 inch scalloped punch works great for this. 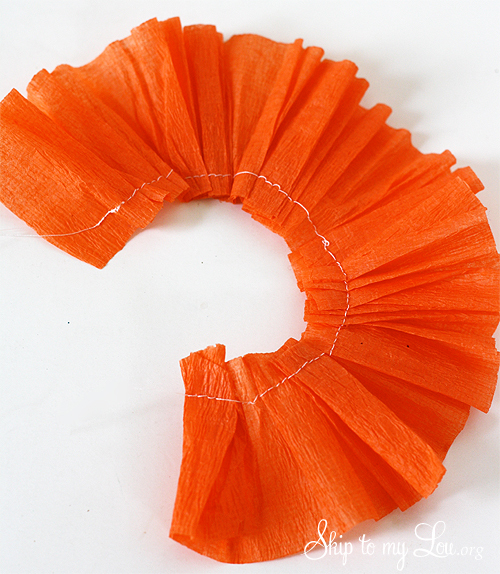 Hot glue the crepe paper to the back of the the circle. 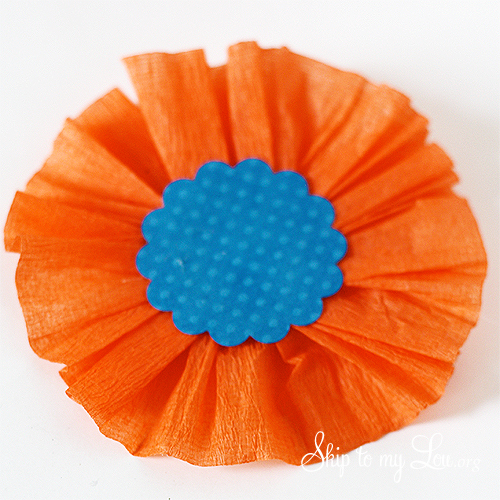 Add a sticker or embelishment to the center of the 2 inch circle. Hot glue the medallion to the front of the hat. 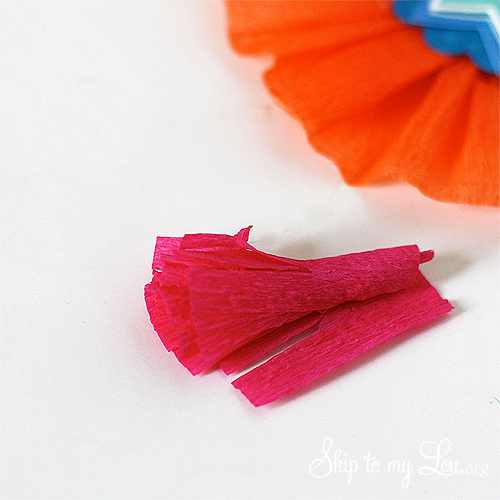 Add a tassel to the top of the hat by taking about an 8 inch piece of crepe paper and cutting slits along one edge. Hot glue tassel to the top of the hat. 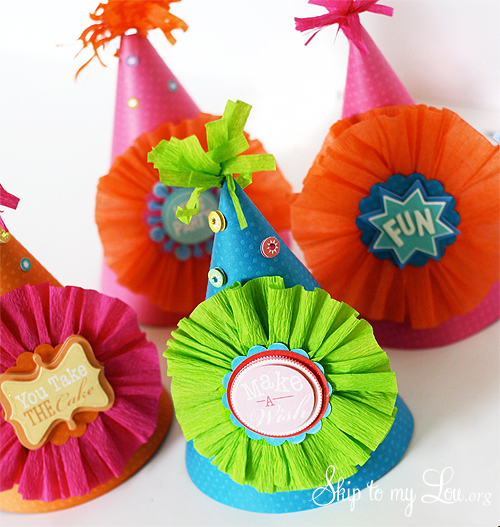 Festive party hats that can be customized for any party theme! Lets party! 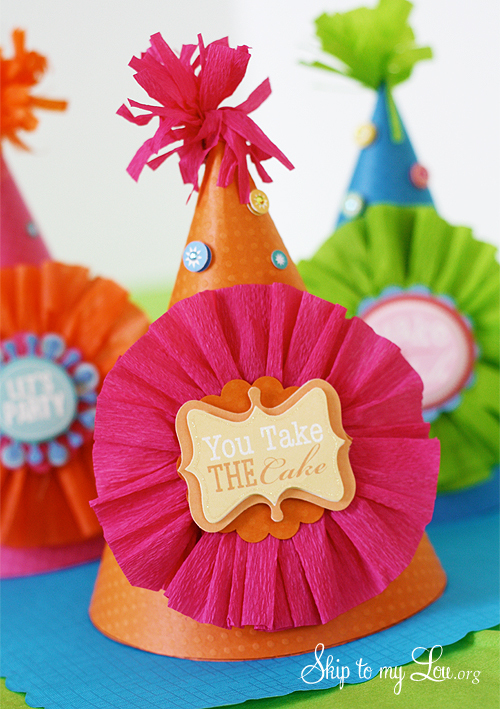 Don’t miss my free printable mini Happy Birthday Cake Bunting!